How to set default zoom/pan position for charts? 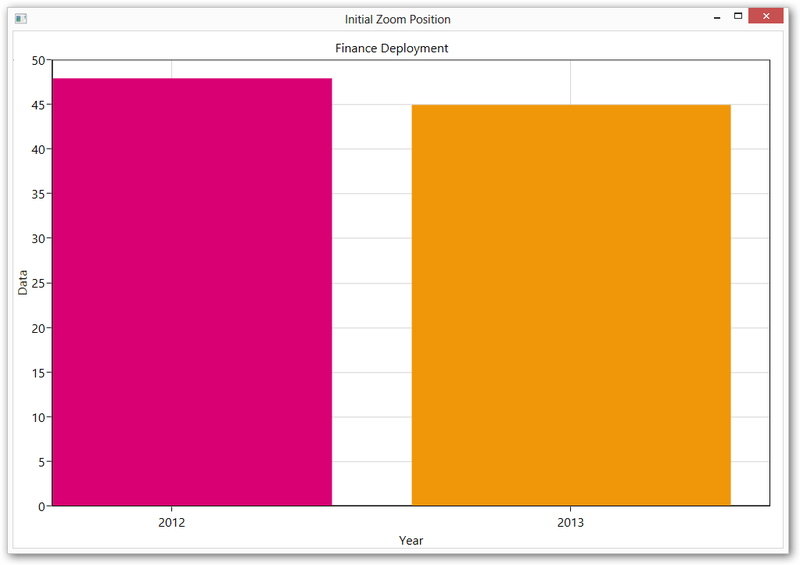 The ZoomFactor property defines the zooming level and the ZoomPosition property defines the zooming (scrolling) position for chart. Both values should fall between 0 and 1. For instance, when ZoomFactor is 0.5 and ZoomPosition is also set to 0.5 for the chart with 10 data points, it shows last 5 data points in chart. Here, ZoomFactor decides no of points (5), and ZoomPosition decides range of values to display (from 6 to 10).